Obama during his climate speech in which he made tackling climate change one of his key policies. While environmental advocates could rightfully claim that not enough was done in his first term, a re-elected and re-invigorated Obama vowed at the start of his second term to take head on action on climate change. In his much lauded inauguration speech he stated, ‘’We will respond to the threat of climate change, knowing that the failure to do so would betray our children and future generations. 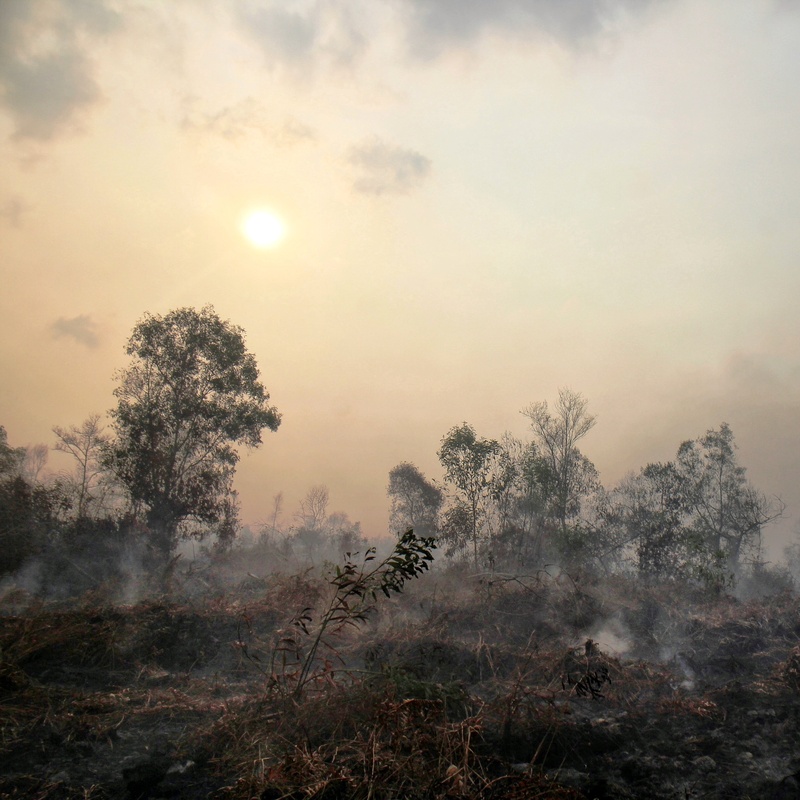 Some may still deny the overwhelming judgment of science, but none can avoid the devastating impact of raging fires, and crippling drought, and more powerful storms. The path towards sustainable energy sources will be long and sometimes difficult. But America cannot resist this transition; we must lead it. We cannot cede to other nations the technology that will power new jobs and new industries – we must claim its promise. That is how we will maintain our economic vitality and our national treasure – our forests and waterways; our croplands and snowcapped peaks. That is how we will preserve our planet, commanded to our care by God. That’s what will lend meaning to the creed our fathers once declared.’’ In his much anticipated follow-up climate speech, Obama laid out more detailed plans involving eg. stricter legislation on coal power plants. Small but steady steps forward. Denmark largest offshore wind farm Anholt Offshore Wind Farm were one of many European offshore wind projects that came online in 2013. 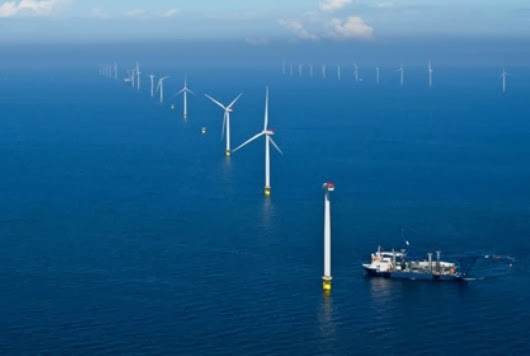 In early 2013, a report by the European Wind Power Agency (EWEA) reported that Europe is leading heavily in growth of offshore wind, with the UK and Denmark the main architects, but that more countries are forecast to get involved in this exciting sector. In Europe in 2012, 293 new offshore wind turbines spread across 9 windfarms were fully grid connected accounting for 1.116 MW and tabling an investment between 3.4 – 4.6 bn euros an increase of 33% compared to 2011. In terms of actual turbines erected the number is a full 369 which means on average more than one turbine was erected a day and of those 76 still needs grid connecting. Solar aid are with it’s solar lamp bringing clean electricity to communities in rural Africa. The growth of SolarAid’s African solar lamps was a hugely positive development in 2013. In rural sub-Saharan Africa, only nine percent of the population have access to electricity and electrical lights; instead, communities rely on expensive, dangerous and unhealthy kerosene lamps which cause a variety of general health problems and fire hazards in drought plagued regions. The UK charity SolarAid is aiming to change this through the provision of low tech, affordable solar lamps to phase out kerosene lamps. The benefits of solar lamps are immense; they enable children to study longer in the evening impacting their productivity; they can charge mobile phones – the main mode of communication; they are almost entirely carbon-free and have no unhealthy side effects; and they have a positive impact on household bills, freeing up funds for household essentials such as food, medicine and education. 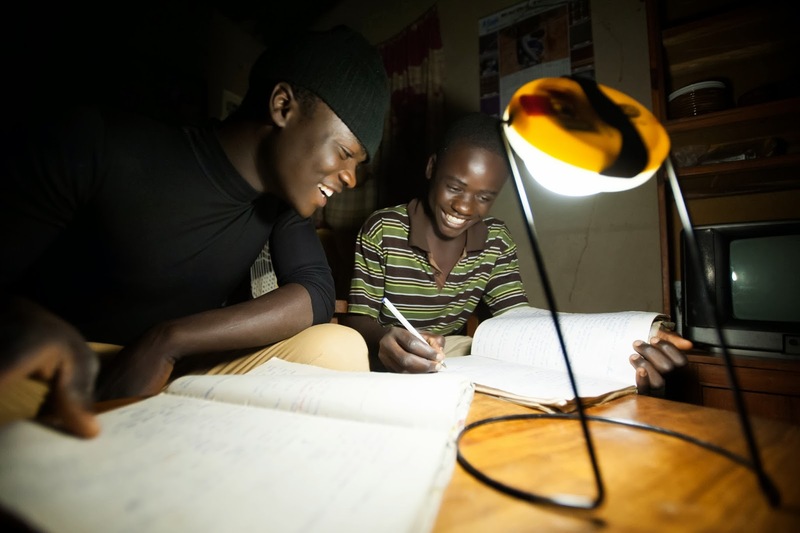 Research conducted by SolarAid, indicates that, on average, families will recoup the money spent on the $10 lamps within just five weeks of use. A greener life, a greener world was one of the first to break the story that on the 18th March this year Denmark produced more electricity from wind power that the demand of the entire country. At 00:04am that Monday morning, the country’s wind turbines (on and offshore) produced enough energy – 3.8 gigawatts (GW) – to meet the whole country’s electricity demand – 3.5 (GW). Add to this the 1.5 GW that came from central power stations and the 0.38 GW produced by local combined heat and power plants (CHP) that produced, the country was able to export 2.2 GW surplus electricity to Norway, Sweden and Germany. Denmark’s Energinet website has live infographic stats that track how much energy is being produced, consumed, exported and imported. 2013 was also the year in which large companies like Walmart embraced solar power, not just to honour their sustainability targets, but because it made financial sense. On 15th May, Walmart announced the completion of eight new solar photovoltaic (PV) arrays . With almost 10,000 panels, the solar PV arrays will provide 2.8 million kilowatt hours (kWh) annually, saving approximately 1,484 metric tons of carbon dioxide emissions (CO2e) annually – roughly the equivalent of taking 309 cars off the road. The announcement was made at an event at Walmart’s Walpole store in Massachusetts, which alone will generate more than 380,000 kWh annually, saving roughly 200 metric tons of CO2e per year. Celebrating the growth of wind power in the US on Global Wind Power Day. After lagging behind for some time and despite continued uncertainty in its subsidies via the renewal of the Production Tax Credit (PTC), the US wind power sector is beginning to pick up. In 2012, deployment of new wind power capacity added 13.12 gigawatts (GW) to existing capacity, nearly double the 6.81 GW added in 2011. By comparison, the EU added 11.6 GW in 2012. Iowa is the country’s wind power leader; even though it’s not the largest wind power producer in the US, it’s the state that produces most of its energy from wind; 24.5% which equates to 5.13 GW worth of capacity. The state’s largest energy company MidAmerican Energy has just announced a $1.9 billion project, which will add 650 turbines by 2015 and extend its wind power capacity by just over 1GW. Ironically the state in the US with the most installed capacity is oil-rich hungry Texas with an installed capacity of 12,21 GW. It can also boast of having the world’s largest onshore wind farm, The Roscoe Wind Farm, which has a generating capacity of 800 megawatts (MW). One of the things that makes solar power so exciting, is the growth potential of the sector, as outlined by our guest contributor Jill Clayton who talked about what solar could be used for in the future. Wysips, the abbreviation for “What you see is photovoltaic surface,” is a transparent layer that can be used to generate power and charge the battery of the device in which it lies. One idea French solar energy experts at SunPartner have had, is to use Wysips as a battery charger for mobile phones. The see-through material can be installed beneath the screen of mobiles, built into add-on chargers, used in building windows, and in future may even power watches, tablets, and laptops. SunPartner hopes to incorporate the Wysips component into Smartphones by the end of 2013. This autumn, Blenheim Palace in Oxfordshire (a designated UNESCO world heritage site) ramped up its green credentials by deploying a state-of-the-art micro hydropower scheme on the River Glyme. The installation cost £180,000 and will provide 60,000 kWh of clean energy; enough to power 18 homes via the government’s Feed-in Tariff scheme (FIT). It is expected to deliver a return on investment of around 8-10% during a 20 year period. Whether or not Ireland could become a world leader in wave energy was a question explored by our guest contributor Colin Cafferty in his detailed blog, outlining plans from people involved in the expanding sector and thoughts on its future growth. Could we in fact be close to developing wave energy to the point where it can start to have a real impact on energy security and carbon emissions? Many are working hard on precisely this goal. We look forward to bringing you plenty more positive news and stories in 2014.